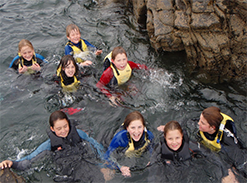 Nevsail Watersports and Rock Climbing is operating over 13 years, in Kilkee, Co.Clare and in Limerick City with our Limerick City Watersports (based from the Hunt Museum. For Location Click Here. From the Hunt Museum we offer Nevsail's Limerick Adventures offering Kayaking, Stand up Paddle Boarding and Boat/Sail Tours, Lessons and Outings, Raft Building, Archery, Archery Tag, Team Challenges, Treasure Hunts and much more. We have loads of different options to suit your needs and we can take individuals, small to large groups and no experience is needed. You can also check out our Indoor Rock-Climbing Wall, in Presentation Secondary School, Sexton St, Limerick City where and you can avail of Indoor Climbing sessions, courses and outings, running all year round. 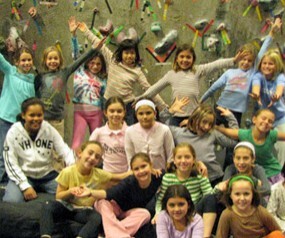 For Location of our Climbing Wall Click Here. Would you like some adventure and excitement on your group outing? Whether you are looking for some team bonding, fun and/or adventure for your sports club, scouts/cubs/girl guides group, a 4 week programme for your School group or a high level management group outing we can build a solution for you. Your group will be looked after by our expert team of Qualified Instructors whilst Kayaking and/or Rock Climbing with us. 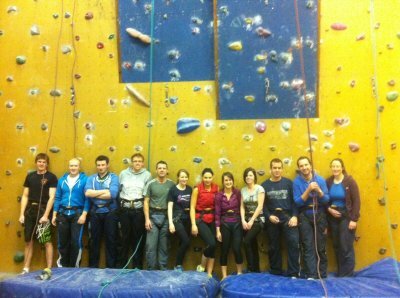 Prices at our Indoor Climbing Wall range from €12.50 pp (Price depending on the size of the group and time on session). Receive a FREE climbing session Gift Voucher. Canteen area available and Free Car Parking. At Nevsail Watersports we have experienced Kayaking and Canoeing Instructors and run our Kayaking/Canoeing Tours, lessons and courses all year round in both Co.Clare and Limerick City. 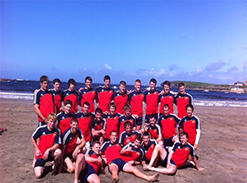 Aswell as catering for many group outings such as stag/hen parties, sports teams and corporate groups. We can take you on an unforgettable kayak Group Outing on our Limerick City Kayaking Tours, bringing to life over 800 years of dramatic local Limerick history whilst you kayak on the River Shannon and enjoy the landmarks and wild life as it is a nature-lovers paradise. We can cater for all sorts of groups on our Limerick City Kayaking Tours. Whether it's a birthday party, a class outing, a stag or hen party, sports team, scouts group, work gang,sports and social club or a group of friends looking to get out and do something different, you're guaranteed to have an amazing with us. 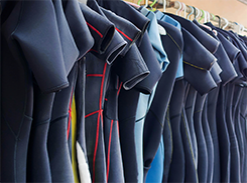 To discuss what we can do for you please contact us on 086 3308236 or e-mail us:info@nevsailwatersports.com. 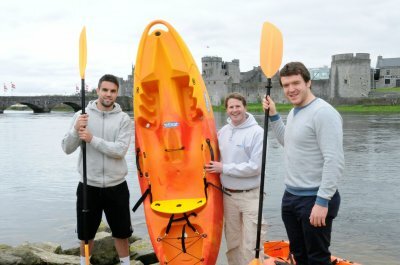 We kayak through the heart of the Limerick City under some of the oldest and most famous bridges and past many well known landmarks as well as visiting it's newer and more recent sites. And all along the way we will also have some fun Kayaking games and adventures whilst we discuss some very exciting and moving history from the Vikings, Brian Boru, Cromwell, the invasions of Limerick, the Irish Famine, Anglo Ireland, to present day stories. Whether you're a local or a tourist to Limerick you'll love to experience the sights and sound on our unique and exclusive trips which will give you a whole new perspective on Limerick. You can have some real adventure or simply relax and enjoy the local wild life, as the River Shannon is a nature-lovers paradise with abundant wildlife. Our "Limerick City Kayaking Tours" are a huge hit and you can now purchase Gift Vouchers or Book Online for these amazing adventures (Click Here). PLEASE NOTE: ALL COURSES ARE WEATHER DEPENDANT.WETSUITS/BOUYANCY AIDS INCLUDED FOR ALL.